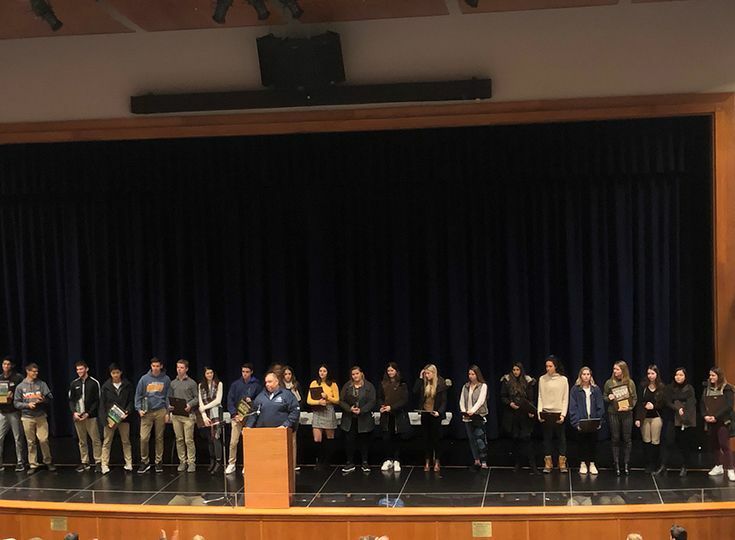 All senior student-athletes on fall sports were honored this morning during the school assembly in the Matthews Theater. Director of Athletics Will Taylor gave each senior a plaque that included a team picture and he thanked the students for their strong leadership this successful past season. Great job Knights!